There are different kinds of statements provided by different people all over the world. We hear them on television and on the radio. We read them on papers and other publications. If you think about it, we give employee statements every now and then, and every day of our lives. This just shows how useful and important they are. All types of statements are given importance by the people who are directly affected by them. The type of statement that we will be focusing on are employer statements. This statement is very useful for employers and employees alike. We will learn about an employer statement, what it is, and other things that we should know about it. 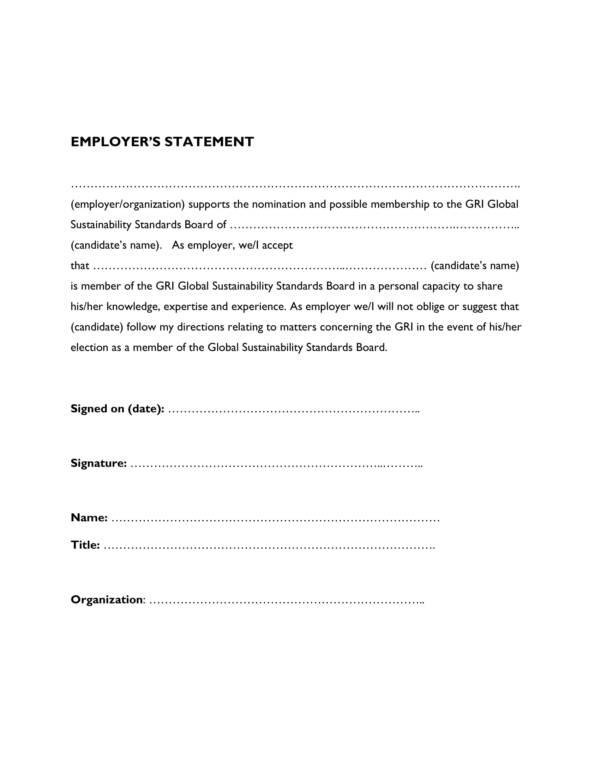 We have also included employer statement samples and templates to aid and guide you throughout the discussion. You may check them out below. What Is an Employer Statement? An employer statement is any statement given or issued by the owner of a business or company, or any of their authorized representatives. The examples of statement can be anything from instructions, new rules, changes in workplace operations, new order of business, and many more. These statements help the company and its employees in a lot of different ways that are beneficial to both parties. 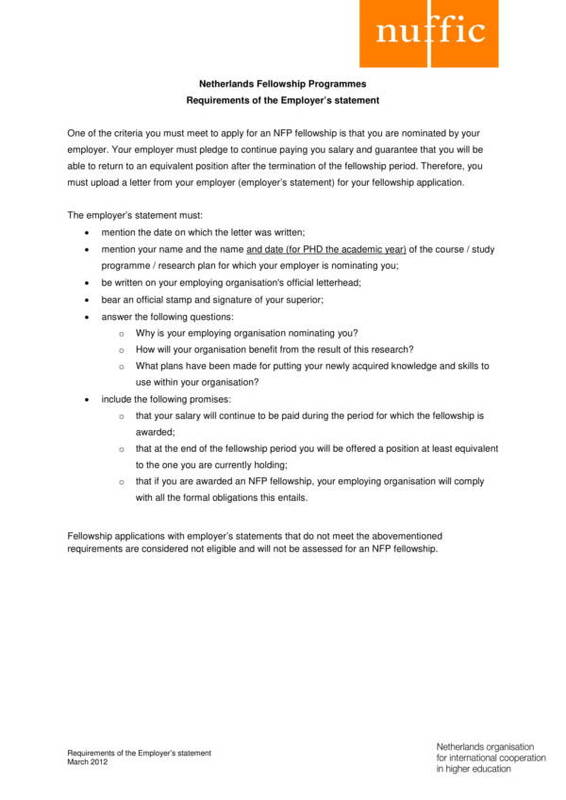 As proof, we have a list of the uses of an employer statement below. 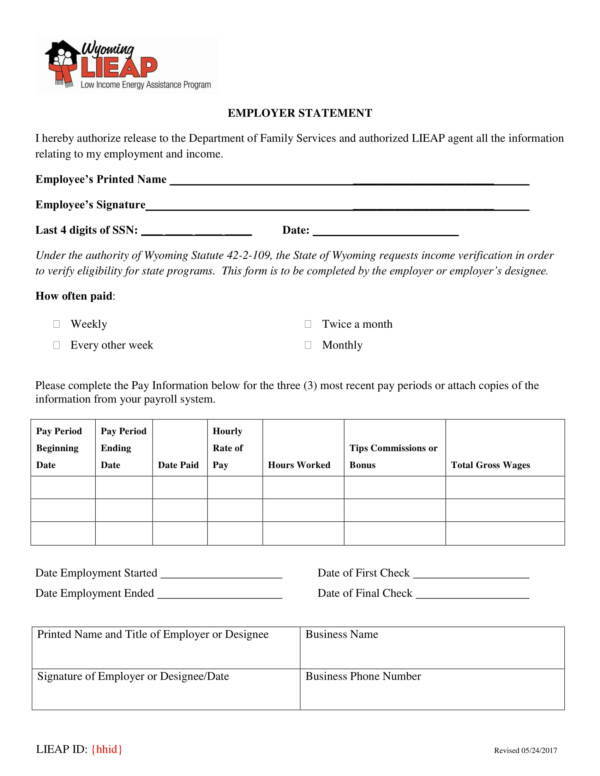 Employer declaration statements are used to give instruction or directives to its employees about certain matters or issues that concern the business and its subordinates. The statement is used in backing employees with their insurance claims to help them have it approved. This is regardless if they are current employees or retired employees. The employer statement will greatly help make the process faster. you may also see Written Statement Samples. An employer statement serves as proof that something is true and are widely used as supporting documents for whatever purpose they are needed. 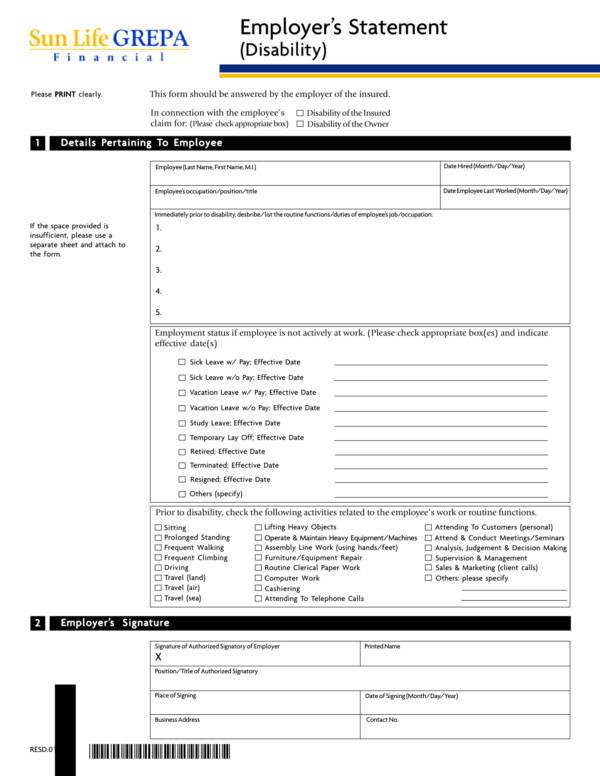 Employer statements are also given when there are new rules or announcement that the company and its employees must know of, especially urgent notice template. Employers also provide an employee statement when asked to recommend somebody for employment. 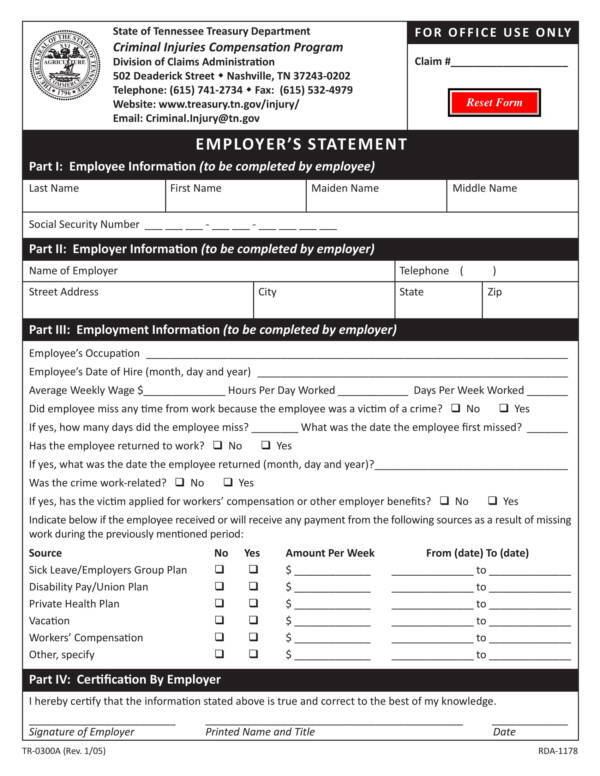 Employer statements provide a range of important information that are specific and useful to anyone who needs them. Other statement-related titles you will also find useful are Travel Expense Statement Samples, Declaration Statement Samples and Templates, and Written Statement Samples and Templates. What Should Be in an Employment Statement? How can you ensure that the employment statement you are giving as an employer and the employment statement you are receiving as the employee is correct? The answer is simple. You just need to know the parts or components that make up an employer statement. A list of these parts or components are provided below. you may also see disclosure statement. 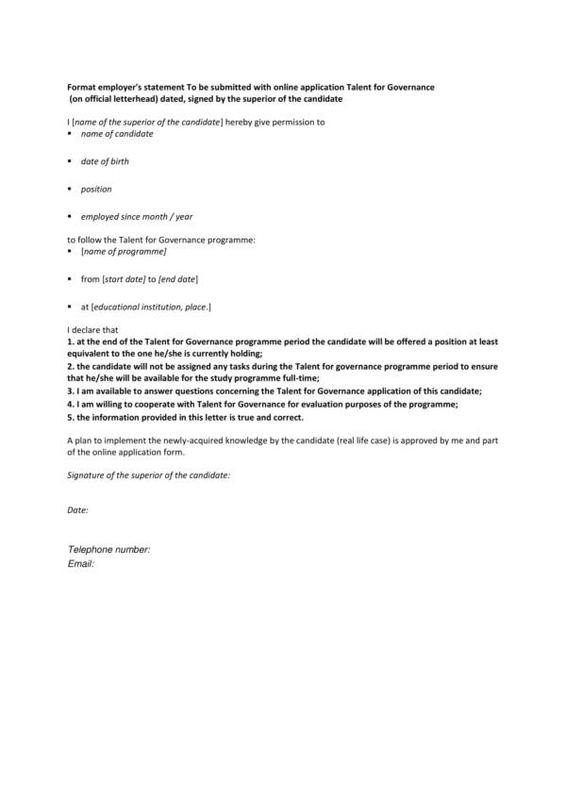 The compete name of both the employer and the employee involved in the employee statement form. There are quite a lot of employment statements that you can can check out online and they by far the best way for you to learn and become familiar with them. Other statement-related topics you may be interested in are yearly income statements, warranty statement, and disclosure statement. 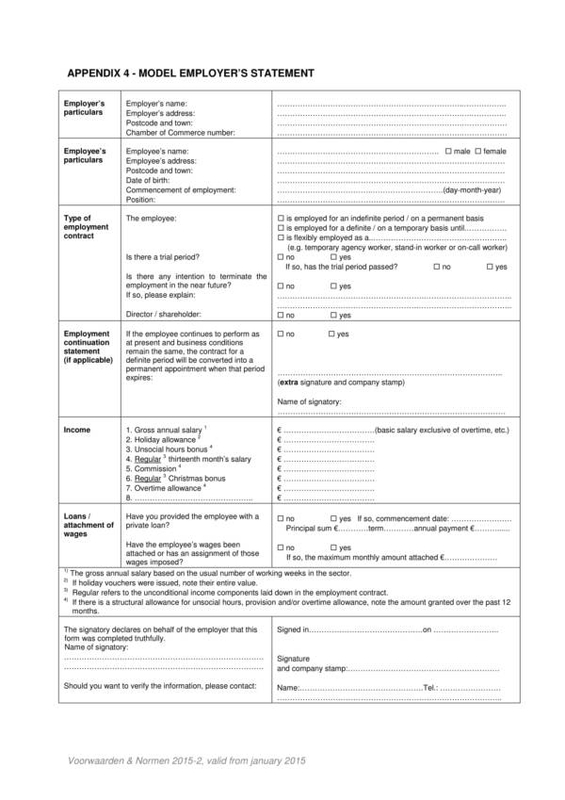 Insurance claims require employees to present or submit an employer statement as part of the requirements. 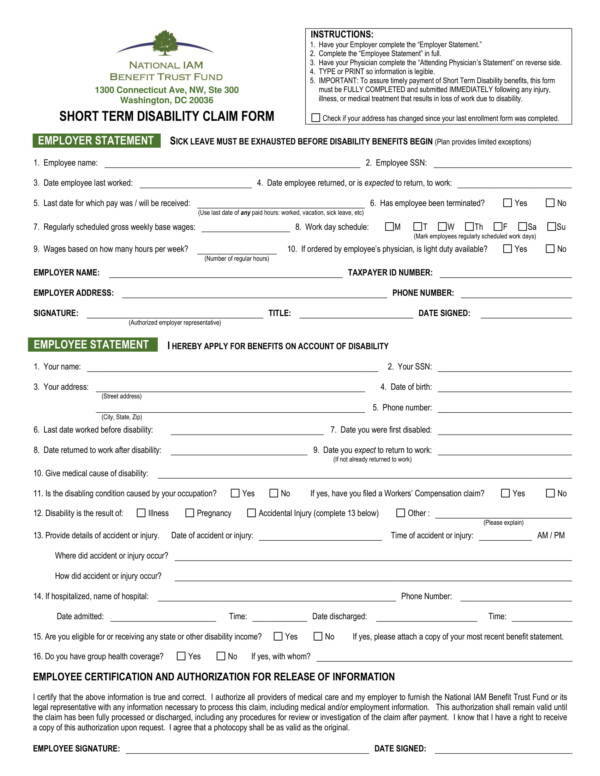 If you are an employer, you will have to produce this document in order to help your employer with their insurance claims. Check out the helpful tips below to help you with completing your employer statement. you may also see Mortgage Statement Samples. The processing can be made faster if you as an employer provide all the important and relevant information on your employer statement. This is because the insurance company or agent won’t have to contact you time and again to ask additional things that you could have included in the employer statement. 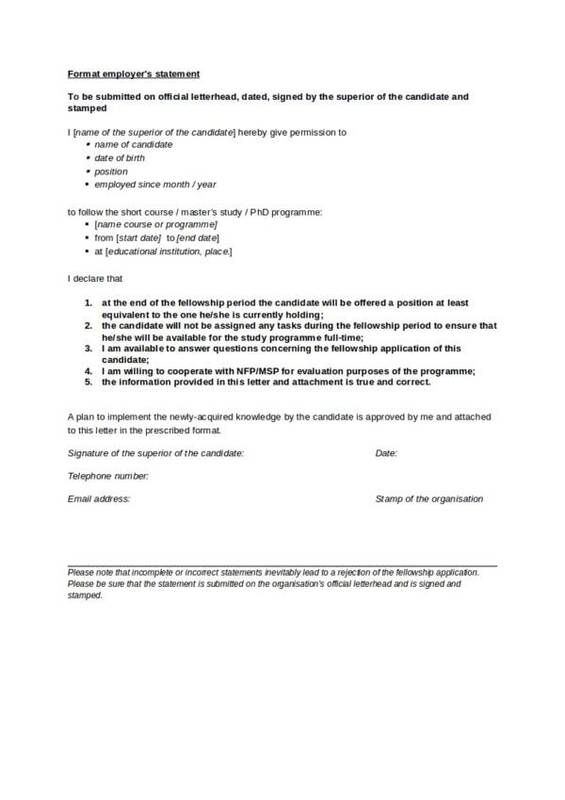 Once you receive the statement form or after being informed about it, work on it immediately. if you have a lot of things to do, give some time to work on it because the longer it takes for you to finish the employer statement, the longer the processing of the insurance claim form will take. What if it is a life-and-death need by your employee? 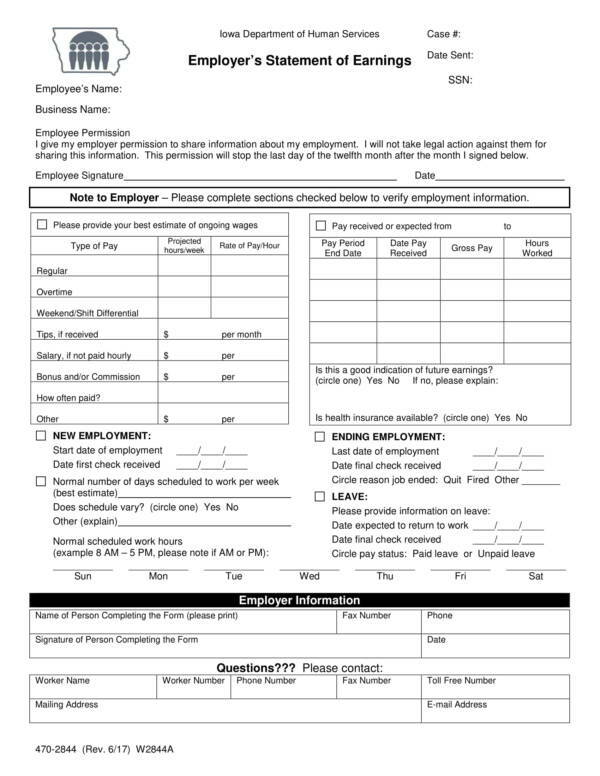 Often, these employee statement forms would highlight or put an asterisk on the details that you need to fill in where you should supply very specific details. 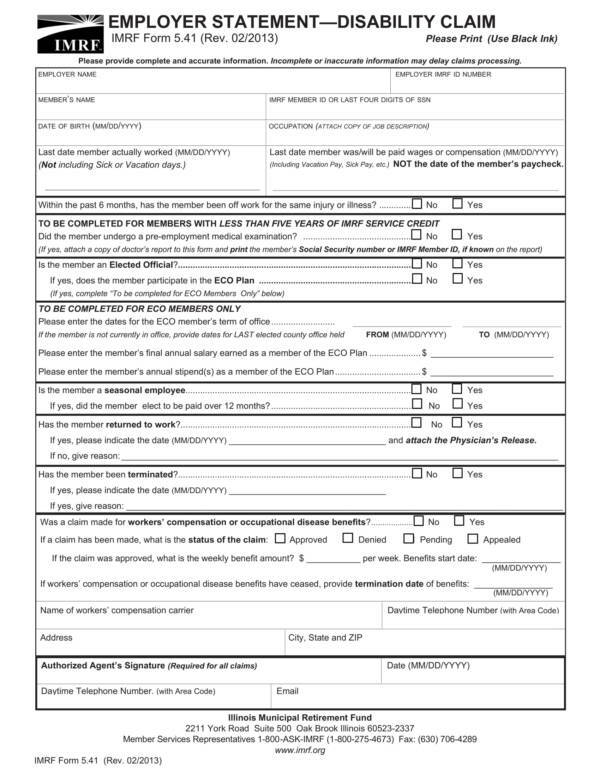 As much as possible, make sure that you do not have any errors on the contents of your employer statement form as it is also one of the factors that slows down the processing of the insurance claim form. It is important that your contact details are included in the employer statement and if possible, include the time that you prefer to be contacted. 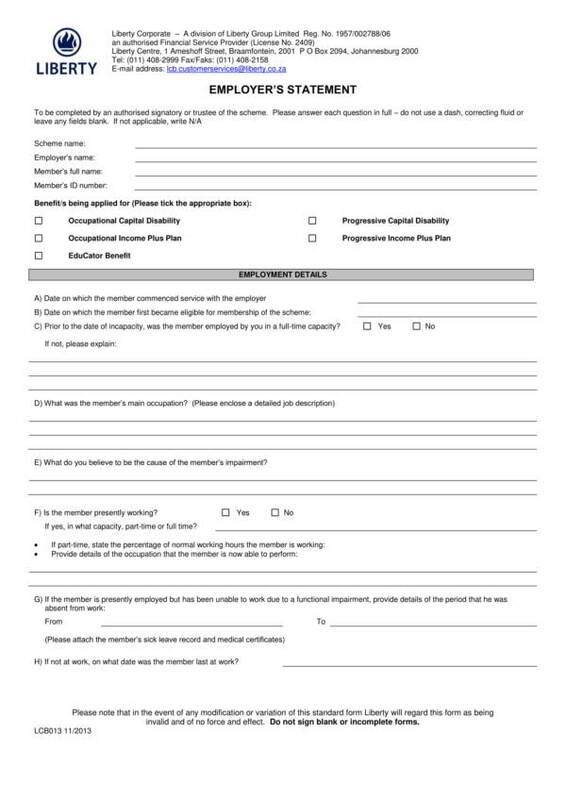 When you are contacted regarding other necessary information required while the claim is being processed, practice to promptly answer their questions or concerns. you may also see Net Worth Statement Samples. It is best that you write neatly so that whoever will read the employer statement will easily understand what is written on it. 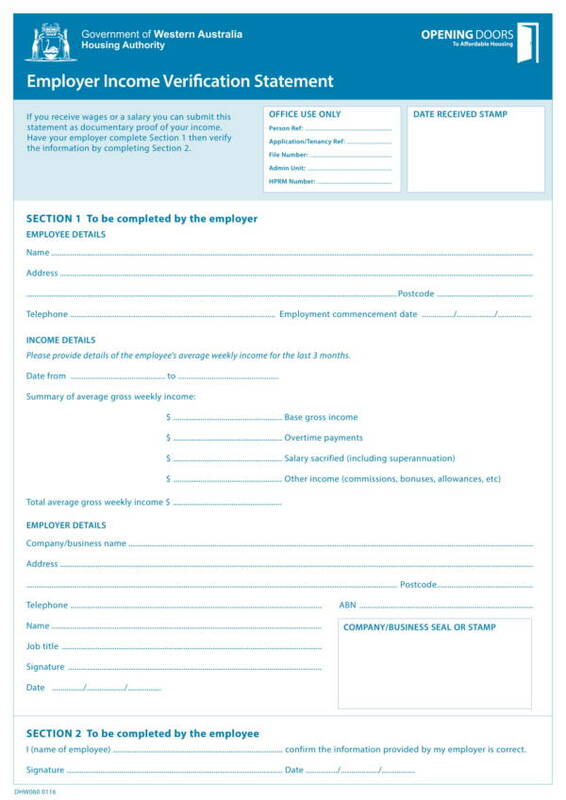 Remember these tips whenever you need to complete an employer statement form. You may also check out Personal Financial Statement, Net Worth Statement Samples, and Mortgage Statement Samples and Templates. The following is a list of some of the advantages of using statement templates. 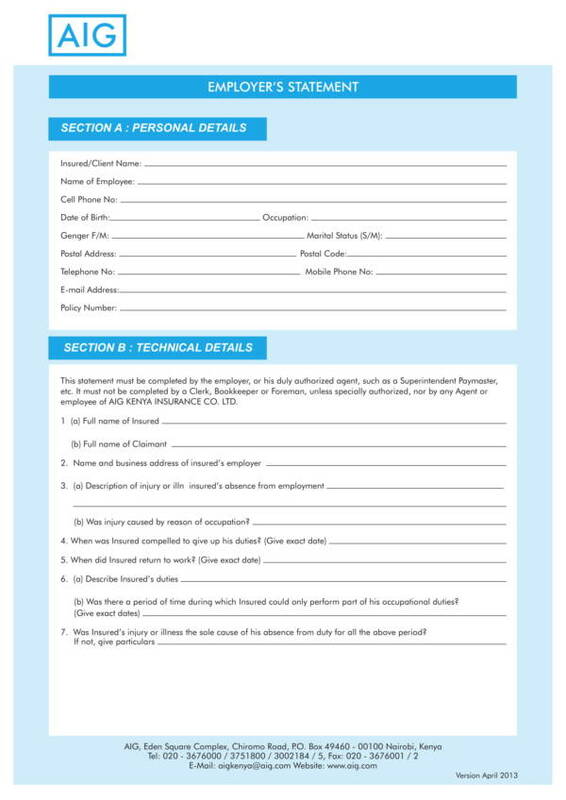 Statement templates are easy and convenient to use as you just need to fill out the template with the required information and it is done. There is no need for you to start from scratch or make a draft of the statement you are going to make. you may also see Legal Statement Samples. 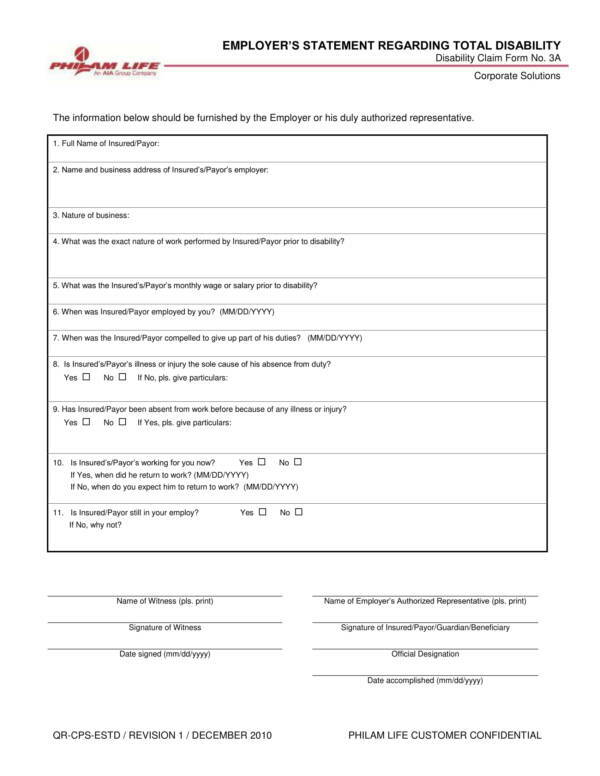 The templates provides a complete set of information so you won’t have to worry about forgetting any important on your statement. You can find any statement templates online for different uses. There is no such thing as shortage when it comes to statement templates. Most templates are also available for free download so you can download as many templates as you can find. you may also see Rental Billing Statement Templates. You can use statement templates as your own and modify them the way you want to. The templates are created in editable formats to make it easy for anyone to change some parts of it. You can quickly produce the type of statement document that you need by using a statement template. Statement templates allow you to save a lot of time and energy that is needed when creating a statement. If you have not used a statement template before, then the advantages listed should convince you to use them when you need to make a statement in the future. We hope that you learned something form this article, and the samples and templates that we have included for your reference. If you are interested to learn about other statement-related articles, then you can freely browse through our website and check them out. Some of the statement collections we have there are Sworn Statement Templates, Rental Billing Statement Templates, and Legal Statement Samples and Templates.